Donald V. Borgwardt Funeral Home, P.A. 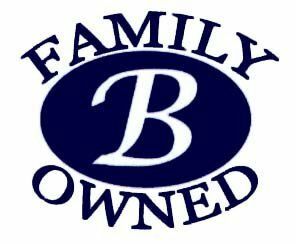 is your family-owned and locally operated provider for honorable funeral and cremation services in the Beltsville, MD area. Established in 1978 by Donald V. Borgwardt, the business is a staple in the community known for compassionate, caring service. Donald was born and raised in Beltsville and has always been actively involved in the local community. He deeply cares about the families he serves, and instills his passion for quality service across the entire funeral home team. The business was founded with the purchase of Beall Funeral Home in Port Republic, MD. Donald began constructing the current Beltsville funeral home in 1984, and opened the doors in March 1985. We are a full-service funeral home providing all options from funerals, burial, and full-service cremation, to direct cremation, immediate burial, veteran services, caskets, urns, and cremation jewelry. We are here to assist you any time, day or night. Coping with the loss of a loved one is never easy, and we understand that every family has different needs and wishes when it comes to grieving. We welcome families of any denomination or tradition to our funeral home. Arranging funeral, memorial, or cremation services will help start the process of saying goodbye to a cherished life. Our team can discuss all possibilities with you, from traditional funeral services to unique requests or non-traditional ceremonies. For those choosing cremation, you can hold full services beforehand, or have the flexibility of scheduling a memorial service for any future date that works best for the family. Holding a funeral or memorial service is often a needed first step toward healing. The services allow family and friends to support each other, share memories, and cope with the feelings of loss together. Our funeral directors are here to assist with every step of the arrangement process. Whether you are reaching out to pre-plan your own funeral, or you have an immediate need, we are here for you. We will allow you to focus on grieving and honoring life, while we take care of the rest. Our funeral directors help with transporting the deceased, notifying proper authorities, preparing death certificates, coordinating insurance and benefits, submitting an obituary to the newspapers, scheduling services with the cemetery and clergy, and assisting the family with arrangements including flower orders, casket or urn purchase, and all other details. Donald V. Borgwardt Funeral Home, P.A. is a member of the National Funeral Directors Association (NFDA). We are also accredited with the Better Business Bureau (BBB), and hold an A+ BBB rating. Donald is past president of the International Conference of Funeral Service Examining Boards, and past president of the State Board of Morticians. In addition, he is a board member of the Maryland State Funeral Directors Association. Contact our experienced, compassionate team any time for your funeral, burial, and cremation needs. We are here to help you at (301) 937-1707. We'll be pleased to welcome your visit to our warm and comfortable offices. Pritts Funeral Home & Chapel was designed to be unlike any funeral home you've ever seen. Chambers Funeral Home & Crematorium can help you plan for your funeral or cremation in a dignified and respectful manner.